Before I developed a peanut allergy, a Snickers was my favorite candy bar after a Twix. Nowadays, I only eat candy bars during "Halloween candy season". "Halloween candy season" is the season when Halloween candy is sold in grocery and drugstores. It is here and will last until November 1st. 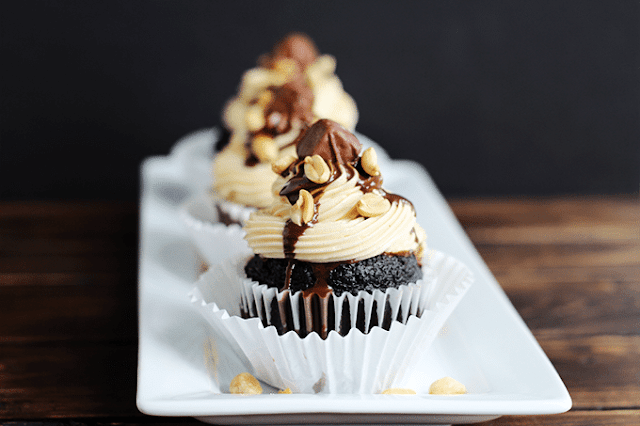 Anyway, click through for a recipe for Snickers cupcakes from Cookie Dough and Oven Mitt.